Wondering whether to chuck your current iPad or Android Tablet! 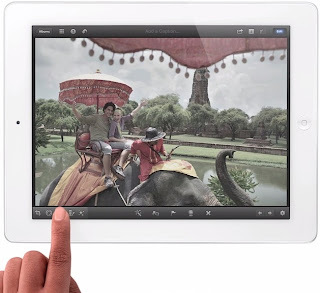 I shall help you decide with some deep insights into the specifications of the new iPad or iPad3. 9.7-Inch LCD backlid IPS Retina Display with a 2048×1536 pixels resolution –this should be the most compelling reason for acquiring the new iPad because what you will see on screen will be astounding images and fantastic videos. Dual-core Apple A5X custom-designed, high-performance, low-power system-on-a-chip with quad-core graphics- Performance was never an issue with iPad2 hence with a better processor you can expect great performance especially with multiple games and apps running open at the same time. 5-megapixel iSight camera, Video recording, HD (1080p) up to 30 frames per second with audio, FaceTime camera with VGA-quality photos and video at up to 30 frames per second-Apple claims to have made significant improvement in the lens and should help users in capturing outstanding videos and images effortlessly. Built-in 42.5-watt-hour rechargeable lithium-polymer battery, Up to 10 hours of surfing the web on Wi-Fi, Up to 9 hours of surfing the web using cellular data network- the new battery is believed to be bigger and should give longer battery run time. Wi-Fi (802.11a/b/g/n), Bluetooth 4.0 technology, Wi-Fi + 4G for AT&T model: LTE (700, 2100 MHz), Wi-Fi + 4G for Verizon model: LTE (700 MHz) CDMA EV-DO Rev- 4G is not relevant for users in India yet, nevertheless connectivity speed should be better than iPad2. For Android users, iPad3 will be great buy given the fact none of the Android powered Tablets offers anything more than WXGA-1280X800 pixels. Therefore, with iPad having a knock out edge over competing Android powered Tabs, iPad3 is clear choice if you are looking for a Tablet.